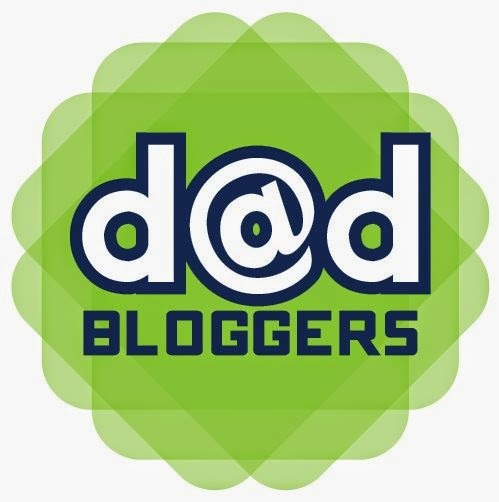 Onto The Next Chapter - The Walking Era - Dad Don't Lie - a Dad blog out of Halifax taking an honest look at the journey through parenthood. 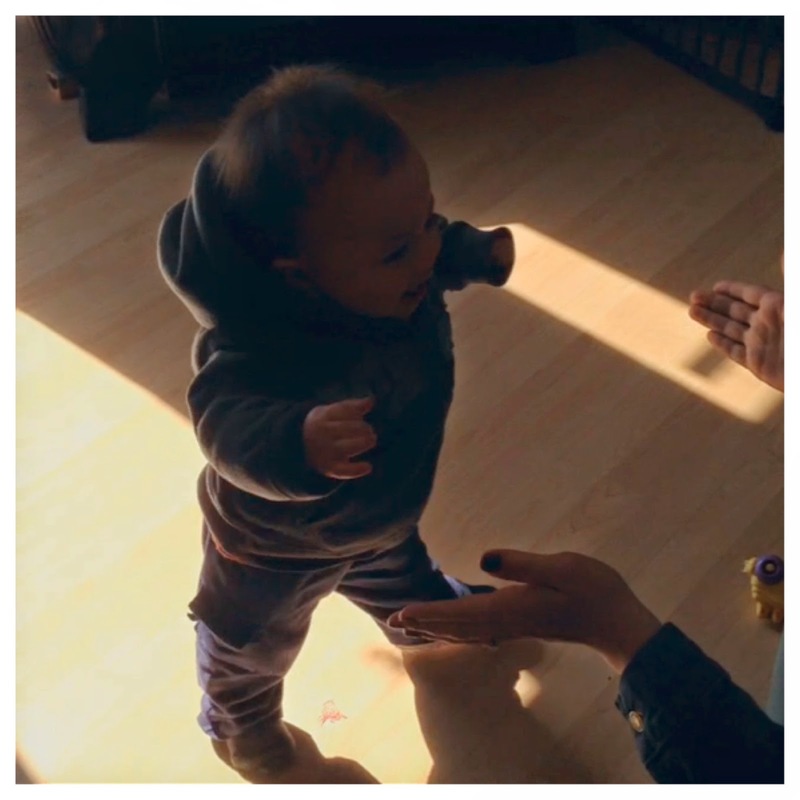 My 10 and a half month old son, Kyrie, is now in his initial stages of walking on his own. Just the other day, Kyrie had that look in his eye and gathered up the confidence to take a few steps on his own. We decided to practice walking with him one afternoon...pulled him up on his two feet and all of a sudden with just one sneaker on, he just took off with a few steps across the room. He blew us away. 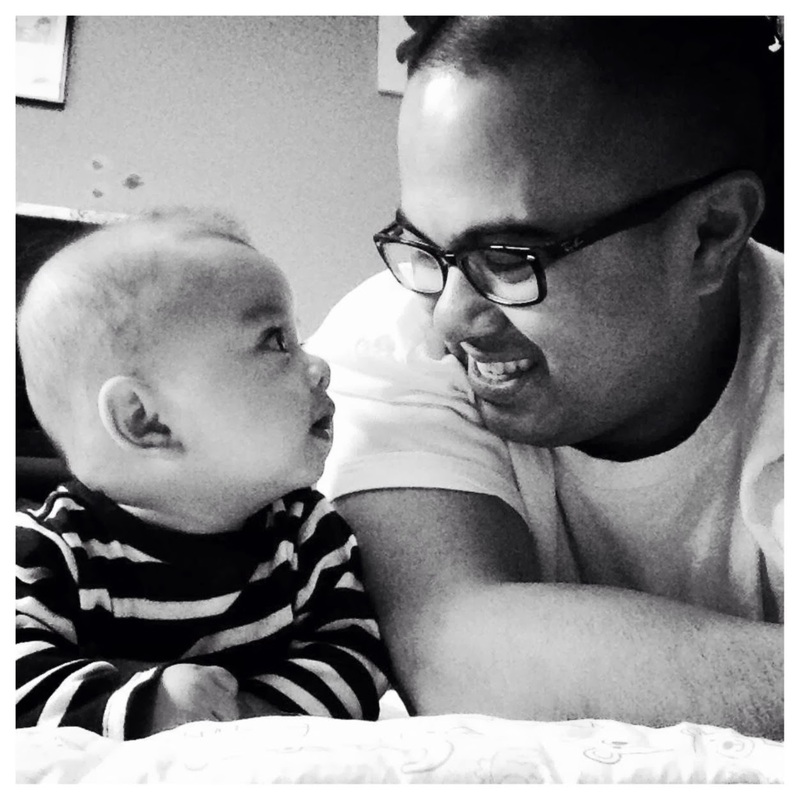 In preparing to be a father, and throughout the months since his birth, I've always thought about the moment when or if I would finally watch him taking his first steps. I figured I would be at work when it happened, but luckily I'm on parental leave this month and got to witness this milestone the other day. It was truly an amazing moment and we couldn't believe our eyes to see the progress he has made. And it isn't just the walking, his development in other areas over the past couple of months has really surprised me (remember, I'm a rookie dad, everything surprises me.) He's starting to recognize words when we say them (we say 'shoes' and he points to his feet, we say "yay!" and he claps, we say "milk" and crawls up on Mom), he's always pointing at everything and saying "Whattat??" (or at least that's our interpretation), he knows how to scream when he doesn't get what he wants and knows how to feed the dog his leftovers from his high chair. So watching those first steps was another proud moment as a dad. BUT...it was also a quick realization of one other thing: this kid is one step closer to running. We are already at the stage where he's not comfortable being still and can squirm his way out of our hold. We have one active boy on our hands. I remember my nephew when he was around two years old, we were sitting at the dinner table eating supper one evening and out of the blue, he just bolted out of his seat, ran out the front door and ran halfway up the street before any of us could catch him. No doubt that this will be Kyrie before I know it. Now, we face our next big challenge in our parenting adventure. We've got a boy who's determined to walk and we've booked a seven day vacation to Florida. Yes, the dreaded plane ride with an almost eleven month old baby who doesn't like to be in one spot is our next parenting "adventure". We have two 2.5 hour flights both ways between Halifax and Orlando, and two parents to keep this active boy entertained on our laps (we didn't purchase the additional seat). I am super nervous for all of us, and the rest of the passengers on those flights. We've been researching tips on how to make these flights as stress-free as possible, and we'll be on that plane with a bag full of toys, snacks and an iPad packed with Wiggles episodes (screen time rules go out the door for the flight). This will definitely be a new challenge, but I'm sure it will turn out OK...right? So it's a new era for us first-time parents, with a lot more moments to cherish....even if it's a screaming baby with an exploding diaper on a plane without a change table.